With proper use of basic strategy, skilled punters can keep the house edge to well below 0.50 per cent when playing real money blackjack online. That’s far better value than the vast majority of tables at land-based casinos, where the odds are getting worse and worse as venues try to protect their dwindling profit margins. The question is: which real money 21 games online have the lowest house edge? 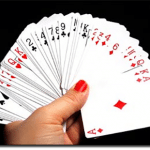 Not all online blackjack games are the same. There are hundreds of variants available nowadays at Internet casinos, but few of the them share the exact same set of rules. As the presence or absence of certain playing conditions can have a hefty impact on the player’s odds, the house edge can vary significantly from title to title. Simply put, there is no better single-deck blackjack game on the World Wide Web. Player naturals pay the full 3 to 2 odds and the dealer always stands on 17, which is unheard of in one-deck 21 these days. Those rules, combined with the ability to hit split Aces, keep the house edge to a mere 0.13 per cent. That number drops down to a staggering 0.09 per cent when using a perfect composition-based blackjack strategy. Even the best Las Vegas casinos can’t compete with the odds in Microgaming’s most popular American blackjack games. Only four decks are used, while liberal rules for splitting and doubling down ensure players can take maximum advantage of favourable hands. The house edge with correct strategy is 0.35 per cent. The main difference between the Vegas Strip games and Atlantic City Blackjack is that the latter features a full shoe of eight decks. That favours the casino slightly, but the introduction of late surrender swings the odds back towards the player. Stick to the single-player version for a house edge of 0.36 per cent. Microgaming’s version of Spanish 21 is almost identical to Australian pontoon. All 10-spot cards are removed from the deck, so the chances of drawing blackjack are lower than usual. There are several unique rules to compensate, however, especially for doubling down. The game also features bonus payouts for specific 21-point hands, with no side bet required to qualify. The Spanish Blackjack strategy chart is more complicated than others, but a house edge of only 0.38 per cent makes it well worth learning. BetSoft’s online table games may not look quite as flashy as those in the Microgaming Gold Series. But if you’re more interested in bang for your buck than in bells and whistles, Single Deck Blackjack ticks every box. The house edge would be even lower than 0.37 per cent if the dealer didn’t hit a soft 17. For looks and gameplay, the NetEnt Professional Series casino games are hard to beat. People love the hi-def graphics and smooth performance, while customisable betting limits appeal to players of all levels. 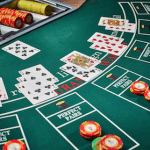 The standard Blackjack Pro release also happens to be great value, with a house edge of 0.40 per cent when using proper American blackjack strategy. Only a handful of digital blackjack games allow punters to stake more than $500 per hand. Realistic’s Blackjack VIP is one of those special few, catering to the high-stakes casino crowd with a very generous $5000 bet limit. That wagering freedom doesn’t come at the expense of quality; the audio-visual displays are everything you’d expect from a VIP casino game, while standard US blackjack rules keep the house edge to 0.41 per cent.